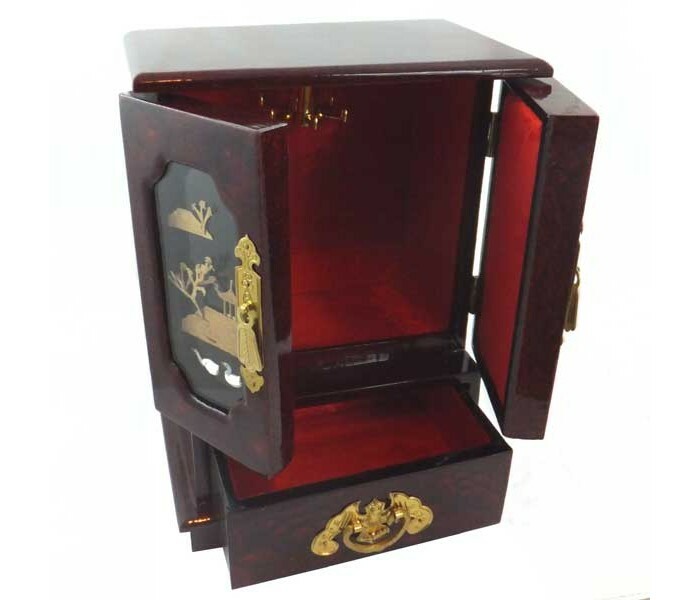 Wardrobe Style Chinese Jewellery Box - Oriental Gifts from Got-Bonsai? 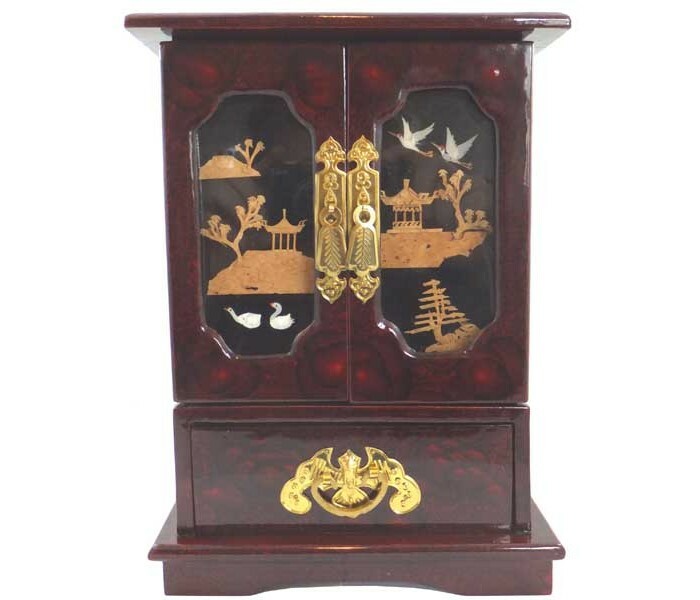 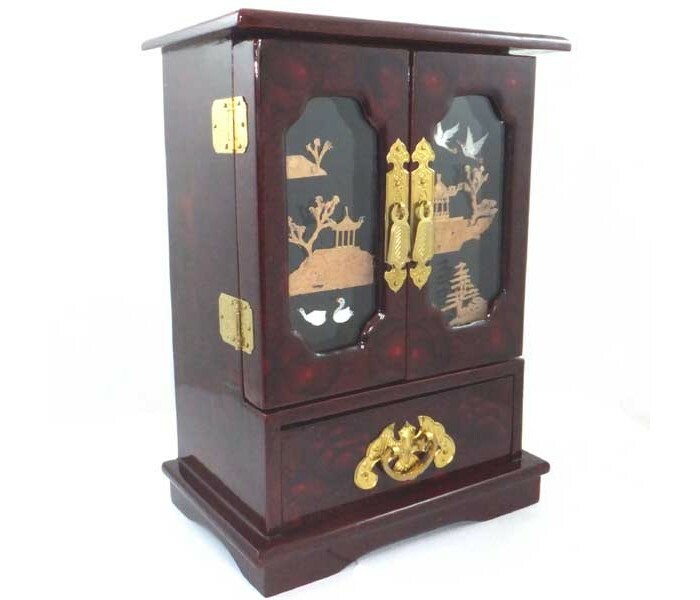 Chinese wardrobe shaped jewellery box featuring 1 drawer, 2 doors and a cork carving scene. 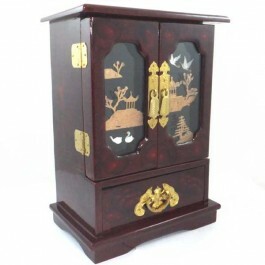 18 x 11 x 24.5cm with a gloss lacquer finish.